You share a home and a bed, but when it comes to your bank account, do you feel like your spouse is holding back? Living with a spouse who is too controlling over money can make you feel trapped rather than an equal partner in the marriage. Have a heart-to-heart with your partner about their control issues. Many times, this controlling behavior has less to do with lack of trust and more to do with fear or anxiety. This fear could be coming from the way your partner was raised. Perhaps his or her family never had enough money or one parent squandered away savings on foolish spending. You're stressed and feeling defensive about the way your partner is treating you, so it can be tempting to list off all the things they're doing wrong just to get it off your chest. But this tactic can lead to more fights. Give your partner the benefit of the doubt, even if you know they're intentionally in the wrong. 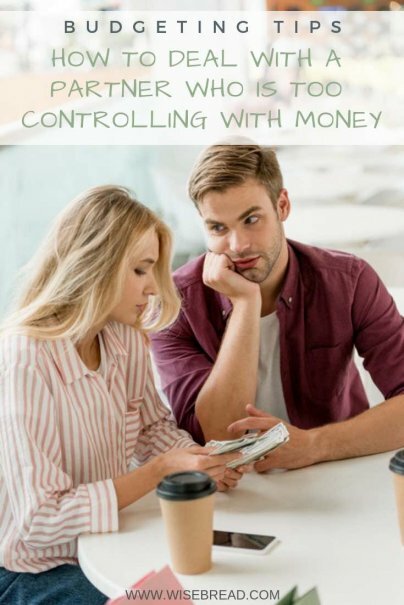 Say things like, "I know you're not trying to appear controlling, but I feel like I'm being treated like a child rather than your partner when it comes to our finances." How does your partner respond? Are they genuinely apologetic, or do they take the stance of "My paycheck, my money." If they express the latter, then it's wise to seek out a marriage counselor, since this is an issue you'll need help addressing. You might even find a financial counselor who specializes in married or family finances who can help. There's a difference between a spouse who is particular about how the budget is spent and one who controls every cent. Of course, if one spouse has a gambling or shopping addiction, then keeping the accounts safe and protected is understandable. But if you don't have access to any of your funds – i.e. your name is not on the bank account, or you have to beg for money when it comes to family spending, then this is considered financial abuse, and you should seek outside help. The National Network to End Domestic Violence and the National Domestic Abuse Hotline list additional forms of financial abuse to watch out for, as well as several resources for anyone who feels stuck in a partnership or marriage like this. A healthy marriage should include equal access to funds and mutual respect for the family budget, and each other, despite who brings home the paycheck.